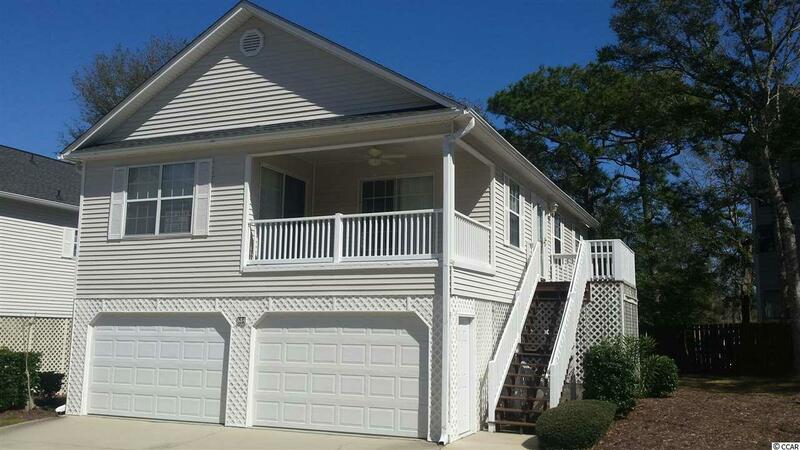 Raised furnished beach home just 3 blocks from the beach in the Arcadian Shores section of Myrtle Beach! This home has three bedrooms, and two full baths, open kitchen,dining and family room nice covered front porch with teak flooring and vinyl rails. Double garage has storage room, screened in area for entertainment and nice outdoor shower area with cold and hot water. Heating and cooling has been replaced, well maintained.